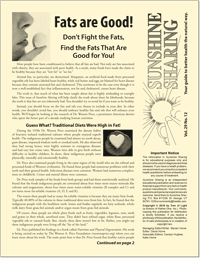 In this issue of Sunshine Sharing, learn why refined carbohydrates (and refined sugar in particular) are so damaging to your health, as well as why they are so addictive. 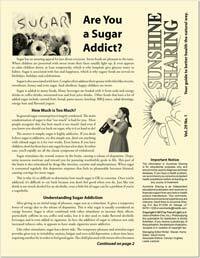 We offer practical tips for getting over the sugar addiction to improve your health. Modern chemistry has transformed the world providing all the conveniences of modern life. Unfortunately there is also a down side to all of this. Toxic chemicals are now found in air, water, soil and the food supply throughout the earth, and people are experiencing exposure to chemicals on a scale never before seen in human history. The health impact of these chemicals is yet to be fully understood. But with over 90,000 chemicals in current use and growing signs of their toxicity to human and animal life, we may be facing a global health crisis. 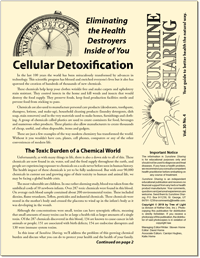 This issue of Sunshine Sharing, will address the problem of this growing chemical burden and discuss what you can do to protect your health and the health of your family including minimizing exposure to chemical toxins, fasting for detoxification and important tools for cellular detoxification. The mistaken idea that foods high in saturated fat and cholesterol cause heart disease and that salt causes high blood pressure is widespread. The truth is that these ideas are based on decades-old, discredited research. 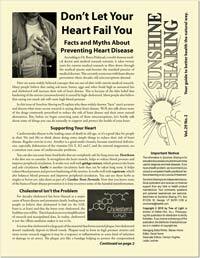 This issue of Sunshine Sharing will cover the facts and myths about heart disease and its prevention, as well as the common prescription medications used for these conditions, such as cholesterol-lowering drugs (statins), blood thinners and high blood pressure medications and their natural alternatives. We hope you’ll not only read this information but will take the time to share it, as many people are being misled about the real cause of heart disease. While, essential oils can help solve many physical health problems they are uniquely able to aid in mental and emotional ones. 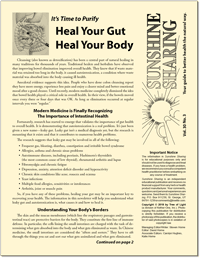 Which is why this issue of Sunshine Sharing focuses on how to use essential oils to increase mental alertness, improve concentration, reduce anxiety, lift depression, ease sadness, uplift the heart, promote better sleep and even encourage deeper intimacy. 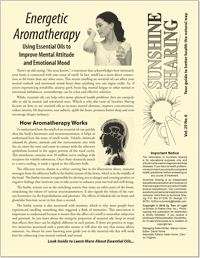 This issue covers how aromatherapy works and 26 essential oils to improve your mind and mood. 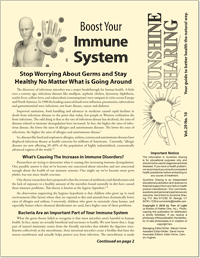 This issue of Sunshine Sharing covers both the good and bad sides of yeast and fungi. It will teach how to utilize your fungal friends and overcome fungal foes, including information on yeast and fungal infections and what to do to get rid of them naturally. 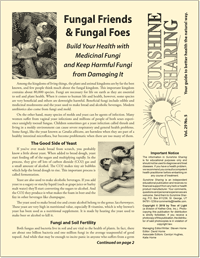 As well as the value of medicinal mushrooms and how to use them to improve your health.